New Zealand – Ticketing software company Vista is off to a good start after debuting on the Kiwi boeurse. Shares of Vista Group International rose as much as 8.1 percent on their NZX debut, after the cinema software and analytics company raised $92 million in an initial public offering to pay existing owners and fund global growth. 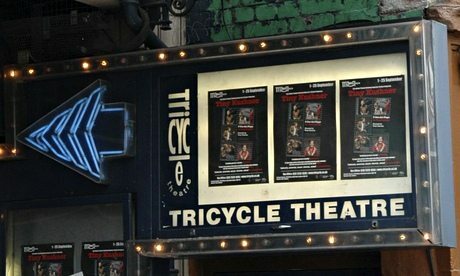 UK – A troubling decision by a London-based cinema Tricycle Theatre to expel the UK Jewish Film Festival, because of current events in Gaza and a grant from the Israeli Embassy. The chairman of the UK Jewish film festival has spoken for the first time about the row that led to it being withdrawn from a north London theatre, and said he felt “sick to my teeth” when the theatre’s director demanded to scrutinise the list of films to be shown. 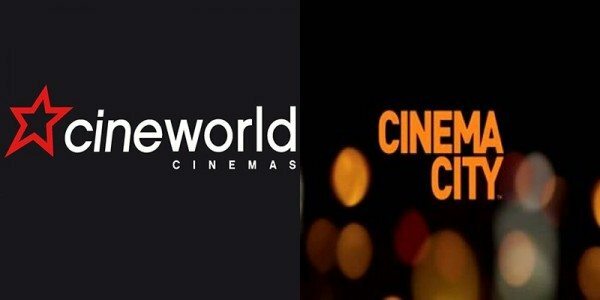 UK – Despite a slow summer, with sports and good weather conspiring to keep cinema goers away, Cineworld has managed to post good numbers, helped by the merger with Cinema City. Hits such as The Lego Movie helped, but Cineworld also has its merger with Cinema City to thank for an expected sharp increase in half-year profits to £20million. Cineworld’s UK and Ireland box office revenues were down by 0.6 per cent in the year to the week before the end of July, but its total box office revenue was up 27 per cent compared to the same time last year. Pakistan – The expansion of multiplexes in Pakistan is underway, though still slowly and not without problems (even without the threat of terrorist attacks). This article looks at one of the larger players. Super Cinema, a sister company of the Mainland Group limited, entered the business back in 2012 and recently inaugurated its ninth screen within two years’ time. The company had initially planned to establish some 13 screens all across Punjab with an estimated investment of Rs1 billion [USD $10.1 million]. So far, the group has invested around Rs350 million [USD $3.5 million] and has created employment for some 250 people. 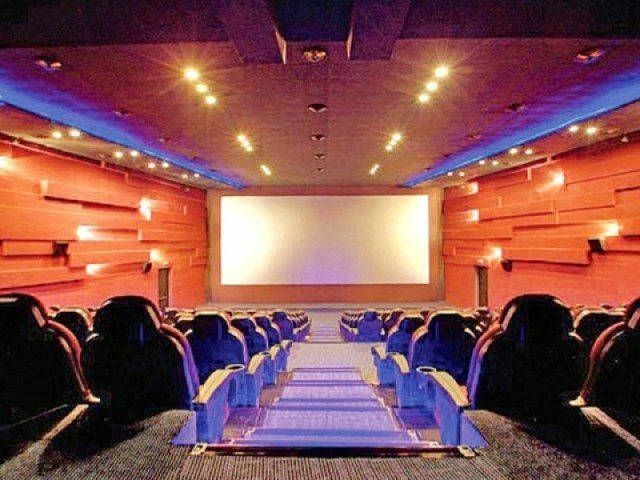 The restructuring of the Sialkot cinema cost the company approximately Rs50 million [USD $510,000], out of which the cost of projector is around Rs20 million [USD $200,000]. In general, the cinema industry gurus are expecting at least Rs10 billion [USD $101 million] in investment all over Pakistan by different entertainment groups to establish state-of-the art cinemas. Construction of screens is also under the process and will get operational in the coming year. Interestingly it claims that the projectors and technical training come from Korea, which makes me wonder if it is 35mm projectors or whether it is even North Korea (which has been known to share missile and nuclear bomb technology with Pakistan in the past), though it is more likely to be digital technology. USA – Stereoscopy news says (shouts?) that ‘THE REVOLUTIONARY 4K CHRISTIE SOLARIA 6P CINEMA PROJECTOR IS WHAT 3D NEEDS’. Judge for yourselves at this year’s IBC Big Screen Experience, which is just one month away from kicking off in Amsterdam. SMPTE 196M recommends 16 foot-lamberts for commercial movie theaters but the usual lght level in 3D theatres is more often between 3 and 4 foot-lamberts. 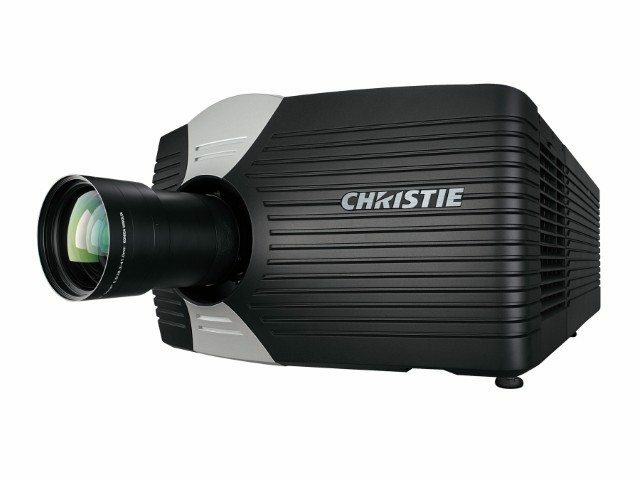 Now, the new “4K Solaria 6P” 6-primaries laser projector from Christie is providing enough light to put full brightness on screens up to 23 meters wide. China – Interestingly China does not have a country-wide film ratings system, so cinemas have to apply their own criteria of whom to admit. A cinema in Urumqi, Xinjiang Uyghur Autonomous Region, has been suggesting children should not watch films deemed unsuitable for minors since August 3, following the same practice in two cinemas in the Ili Kazakh Autonomous Prefecture. While China has no national film-rating system, the branch of the China Film theater chain in Urumqi began to rate screened movies as “G” (all ages admitted) or “PG-13” (parents of children under 13 are strongly cautioned). Action movie Brick Mansions and thriller The House That Never Dies have been rated “PG-13” by the Urumqi cinema. UK – More cinema advertising interactivity – this one in the lobby. DCM partnered PrimeSight in 2012. Now TV has launched a new cinema campaign – ‘BackInYourBox’ – through Primesite’s interactive inventory across Cineworld, Odeon and Vue. 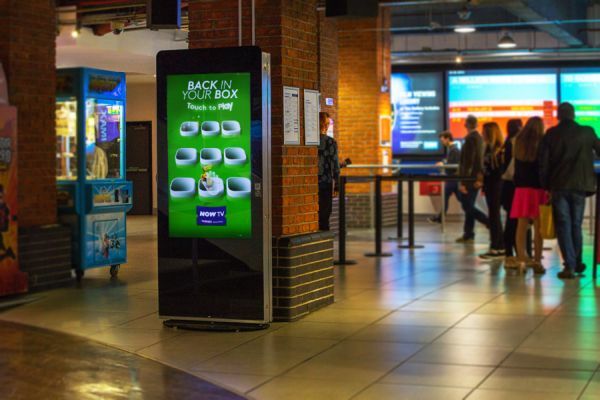 Created by WCRS and facilitated by Mediacom and Rapport, the ‘BackInYourBox’ interactive campaign will roll out across the top ten most popular cinemas in the UK alongside static six sheet panels located in 304 cinemas nationwide. Australia – More proof, if proof was needed, that cinema advertising delivers a considerably higher impact than television. 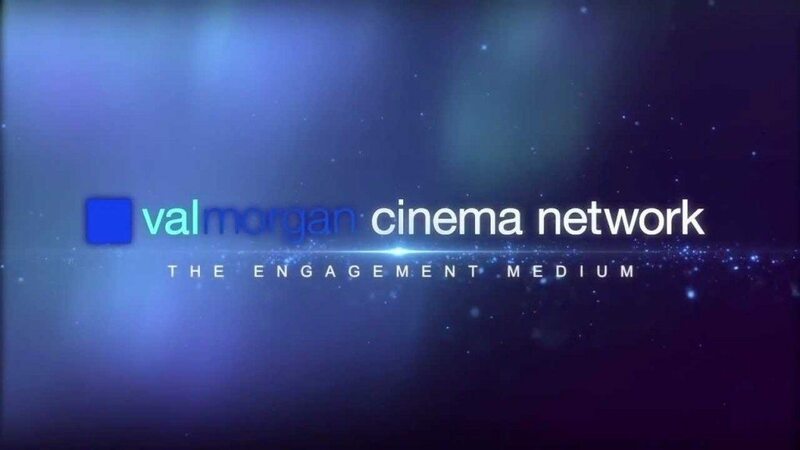 Val Morgan has today released the first results in the Power of Cinema series which demonstrate the value of including cinema as part of a/v media strategy. The findings prove that cinema significantly improves advertising effectiveness, delivering a 40% increase in the key metric of brand consideration. Germany – Vue is looking for a new MD for its German Cinemaxx operation. Germany – More details about the Bayreuth/Wagner event. not a first for Germany, but the Berlin Philharmonics never took off quite like the Met Opera, so it will be an interesting one to watch. The article looks at how event cinema plays out in a German theatre, with four (!) satellite dishes on the roof, and everything from Sydney Opera to Royal Opera House events planned. The live broadcasts will find as the theatrical release in HD quality and Dolby 5.1 surround instead. Four satellite dishes on the roof of the cinema Movie Star provide the right connection. 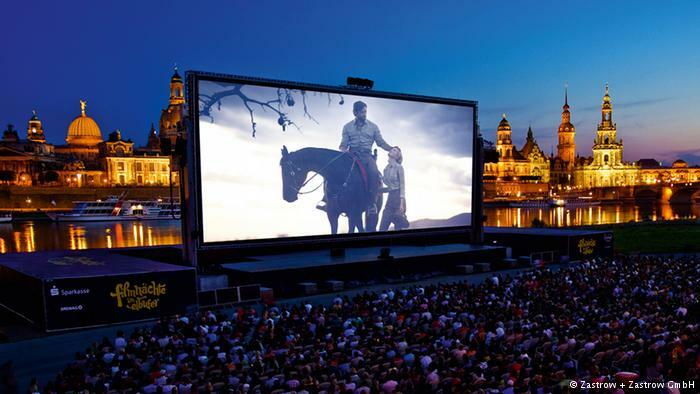 “Just as a small cinema you have to move with the times, otherwise one remains in this fast-paced time not,” explains Stephan Rauch foot , the Marketing Manager of the Movie Star. The content, the cinema can show have, expanded noticeably. The Parchimer cinema goers and concert fans can look forward to an exciting season. 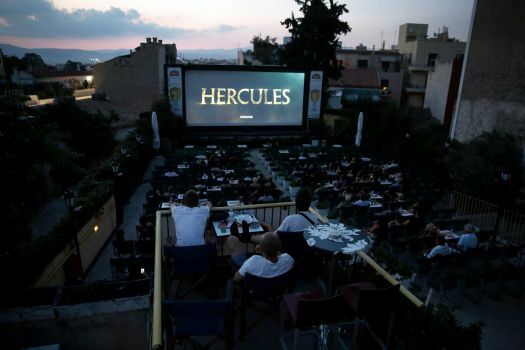 Greece – AP has a gorgeous photo series of outdoor cinemas in Greece, many of which are unlikely to survive the switch to digital. Greece has one of the lowest rates of digital cinema penetration in Europe, but Hollywood studios will not keep sending it 35mm copies much longer. Open-air cinemas survived Greece’s real estate boom and the financial bust that followed, providing many with an affordable night out. From tiny Mediterranean islands to the capital, Athens, warm summer nights and some spectacular settings kept movie fans coming back. But the global switch to digital projection could soon bring the tradition to an end. UK – It may no longer be a cinema, but it’s majestic art-deco exterior has been restored and it will entertain children for years to come. A DATE has been set to bring an iconic Art Deco building back to life for the next generation. 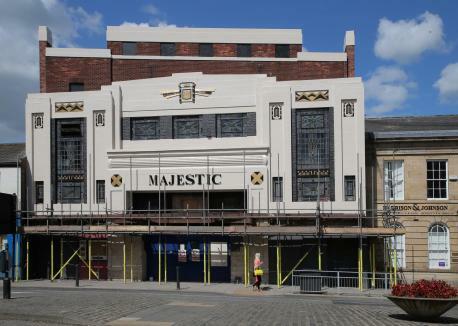 The former Majestic Cinema on Darlington’s Bondgate has been undergoing extensive renovation since January when North-East property developer Devlin Hunter bought the building. Pakistan – Welcome news of Pakistan taking its cinema heritage seriously. THE Walled City Lahore Authority (WCLA) is planning to launch a project for the restoration of all cinemas in Bhati Gate and Texali Gate in the Walled City with public-private partnership. 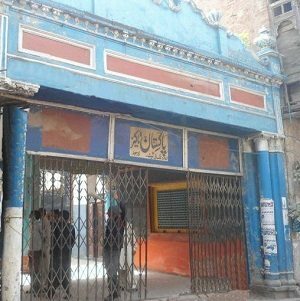 Sources in the WCLA revealed that after the partition three cinemas operated in the area which included Pakistan Talkies, Tarranam Cinema and City Cinema but presently only one cinema, Pakistan Talkies, is entertaining the general public, though it is in a very dilapidated and rough condition. 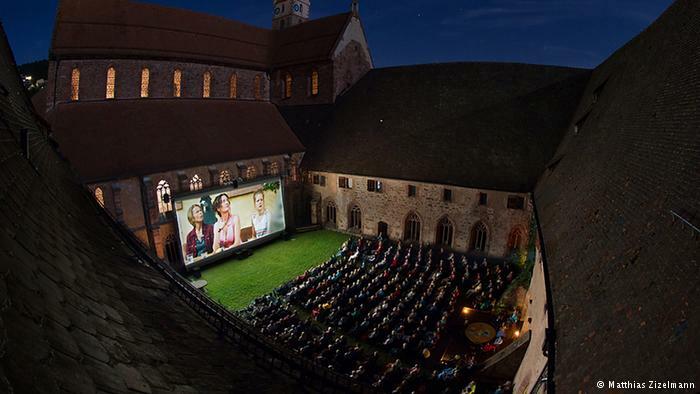 Greece may have the Mediterranean climate, but when it comes to outdoor cinemas, these German cinemas knock the sandals of their south European counterparts – including an amphitheater one! (I am guessing they are all digital already.) Feast your eyes on this gorgeous photo display from DW.